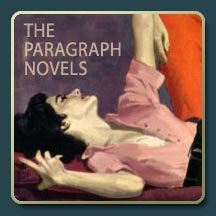 the paragraph novels: chapter 7, "riverside club"
once in a while, i feel the urge to give back to my loyal readers of the world in a show of my appreciation of your continued patronage of the paragraph novels. many of these loyal readers have often asked, "mr. superflywebpimp, we all know about your extensive literary accomplishments, but what about your periodical and semi-annual magazine based article publications?" good question. it may come as a surprise that over the many years i have secretly penned genius works of master paragraphisms under various pen names. to name a few..."the glass birdhouse of borneo" as sir edmond j. crane, featured in the december issue of "bird care for the blind" and the multi-issue saga titled "take the long trail to cleveland" penned as dr. renaldo pickeringstaff in the march and april editions of "midwestern small trail hikers guide." 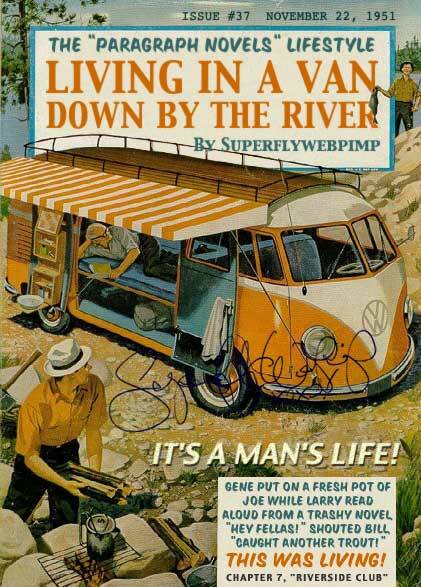 i have attached a signed copy of "living in a van down by the river" as a small token of my appreciation. 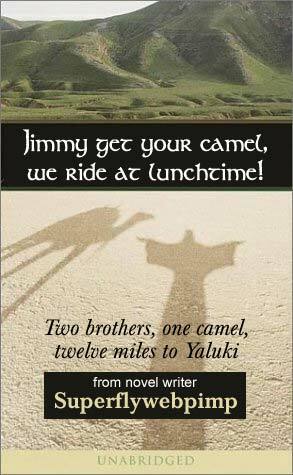 and please don't forget to pick up a copy of my new novel coming out in may, "jimmy get your camel, we ride at lunchtime!" You are extremely accomplished and cool. I am impressed beyond normal. It's more like....Super-impressed. 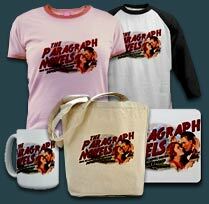 I'd like to say more but some how I think you already know what I'm going to say. You're like that. Gotta get back to your theme song. Hey genius.... 11:15am is not in the afterNOON.